Despite large-scale efforts devoted to the conduct of clinical trials in systemic lupus erythematosus (SLE), no new therapy has been approved for treatment of this disease in more than 50 years. Increased understanding of the immunologic mechanisms underlying SLE has led to the development of a variety of biologic agents that target specific aspects of the adaptive and innate arms of the immune system, including B cells, T cells, dendritic cells, and various cytokines. 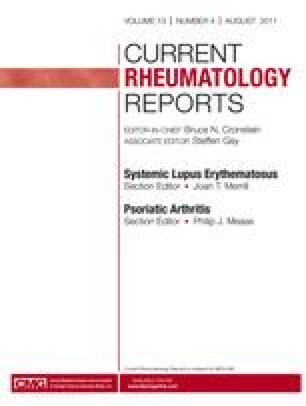 One of these agents, belimumab, was the subject of two positive phase 3 trials in nonrenal lupus that have given us hope that a new therapy for SLE may be finally within our grasp. In addition to these newer therapies, recent studies of standard-of-care medications such as mycophenolate mofetil and hydroxychloroquine have better defined the efficacy and safety of these agents for the treatment of lupus nephritis and nonrenal lupus. This article provides a discussion of several novel biologic agents at different stages of development for the treatment of SLE, as well as an analysis of newer data on agents that have been used in the treatment of SLE for many years. Dr. Dall’Era has served as an investigator for clinical trials sponsored by Genentech, EMD Serono, and Human Genome Sciences. Dr. Chakravarty has served as an investigator for clinical trials sponsored by Genentech, EMD Serono, and Human Genome Sciences, and as a consultant for Genentech.